Primary Inspired: Rock N Learn Review! & Bloglovin' Hop! Rock N Learn Review! & Bloglovin' Hop! Check out what arrived here at our house last week! Rock N Learn DVDs! 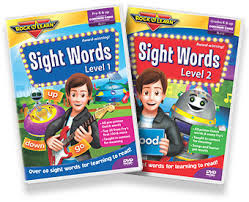 There are four DVDs all about letter sounds and sight words. I was so happy to have the opportunity to review these! Now, I don't have access to my students right now, but I do have a granddaughter here who was absolutely thrilled when she saw me open the package! So, we popped them in and sat down to check them out. I'll be honest...I was a little apprehensive about the DVDs being 'cheesy'. 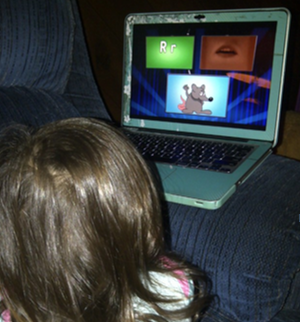 We started out with one of the sight word dvds, and I'm pleased to say that these videos really are engaging! I think they would go over quite well in a primary classroom. Piper, my granddaughter, really favored "Letter Sounds" (in fact practically begged us later to put it in for her! In fact, she was sitting on the end of the couch watching with her headphones on, when suddenly we heard, "Double-U. |w|...|w|...|w|...wagon". We looked over and there she sat, just intently watching, and she continued on with the next few letters! And she is only THREE, folks! Just imagine what this could do for your kinders, or even some of your firsties! (I really, really like that it has the image of the lips so kiddos can SEE how the sound is made!). The three sight word DVDs cover Dolch and Fry words. Level 1 - all pre-primer Dolch words, the top 20 from Fry's, and more. Level 2 - all of the primer Dolch words and many words from Fry's list. Level 3 - all Dolch first-grade sight words and many from the Fry's list. The cool thing about the DVDs is, although they kind of build upon the other, you don't need to have all three of them. You can choose the level that your students need. Here is a clip from Sight Words Level 3. Of course, these would be great to use with your children at home, but what about in the classroom? Whole Group- View sections at a time to introduce and then to review words. Workstations/Centers- How cool would this be at a station? I can definitely see using these at the computer station. I think my kiddos would LOVE them! And I think they would help kiddos internalize some of those words. 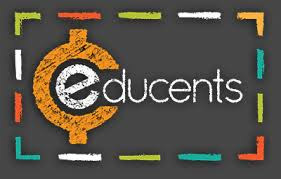 Be on the look out for these at educents! Currently, there are some Math Rock N Learn DVD sets on Rock N Learn website! Don't forget that Google Reader is going to be G.O.N.E. in just a few days! I'm moving over to bloglovin'. Have you clicked that little button over there on the right that says "Follow This Blog on bloglovin'"?? Hurry! Click it right now! And don't lose any of your other favorite blogs! Tori, from Tori's Teacher Tips has a GREAT idea...it's a bloglovin' blog hop! Just click over there where many of your favorite bloggers have linked up....click the links, which will take you to their bloglovin' page where you can click follow to add them to your bloglovin' reading list. Phew! Really! It's not as hard as it sounds! These DVDs look great!I'm going to the site to see more. Thanks for reviewing them. I definitely have seen some cheesy ones out there! I'm following with Bloglovin!